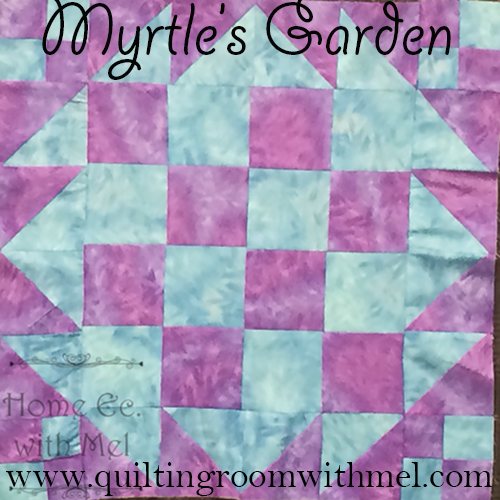 This month we are making Myrtle's Garden quilt block. Now, as far as I know there wasn't a block named this before today. 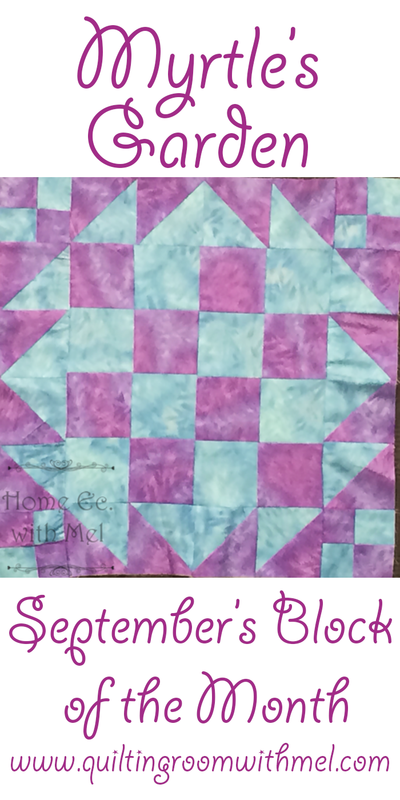 I found a great site full of traditional quilt blocks, many that I didn't know. As I was scrolling through the photos I found Eva's Garden. I didn't care for the square in a square in the middle. It didn't make me think garden. So I changed it up by making four patch quilt blocks for the middle which reminded me more of a garden and named it after my Grandma Green, Myrtle. The block is pretty simple to do but as you can see in the photo I sucked it up when I ironed it. I really shouldn't iron things when I'm in a hurry. The video is going to be a little different. I updated my computer and didn't think about the fact that my video program might not be Windows 10 compatible. Then I went to edit my video and found out after loading all the parts that it would play the video. So after a day and a half of pulling my hair out Paul suggested I ask some video friends what they would reccomend. The program I found appears it will work but I didn't want to pay until I know so you'll see an ad from them at the start of the video. Cut 8 squares, from each color, from the 4" strips. If you cut well you should be able to cut the leftovers in half for your 2" strips. If you goof like I did you'll need to cut another 2" strip. These are for your half square triangles, draw a line corner to corner diagonlly on one color. The 3.5" strips are for the middle four patches and the 2" strips for the four patches in the corner. Your subcuts are 3.5" and 2" respectively. Remember we are making squares.